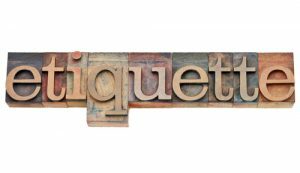 There are rules for everything these days – and then there is etiquette, the unwritten rules. SMS messaging squarely falls into this round category and can make sms marketing somewhat awkward. It even has its own expression: ‘textiquette.’ Whatever next. But for businesses sending bulk sms marketing messages, text messaging etiquette should be valued as highly as the customer service you provide to people that visit your physical store. Text message marketing is a cost-effective marketing tool and raises brand awareness. You don’t want to put a dent in your customer list and ruin your brand reputation by not following the unwritten rules of texting. There is a fine line between what is considered appropriate and what people take exception to. The rules of sms marketing are not too dissimilar than the rules of email marketing. The quickest way to lose customers from your contact list is by sending misplaced emails to contacts that do not have any interest in your offer. Marketing messages should have relevancy. For example, if a supermarket sends a bulk sms message offering discounted pork chops from a list that features a hundred recipients who are vegetarian, you just offended five-scores of people in a matter of seconds. When people get offended they like to talk about it. Needless to say, this will have a negative effect on your brand. Mobile devices are personal technologies. We carry them around with us all day and are almost constantly within touching distance. But people do not want to be constantly receiving sms marketing messages. Eventually they will tune out from brands altogether. So before sending text messages, check your consumer data and message offer that are relevant to the recipient. This is a flip of the coin. On the one hand you only have 160 characters of space to type your message, but on the other hand, will everybody understand the abbreviations. Essentially, you have to make a judgement call. Common abbreviations that everybody knows are okay. If you have an older audience, it is best to avoid abbs. And also avoid abbreviations that do not sound business like, i.e coz, instead of because. It just doesn’t look professional. Written communication loses a lot of its meaning as there is no verbal or physical projection of expression. Which can make bulk sms marketing a little tricky. If you get your tone of voice wrong, it could communicate the wrong meaning. Although we all like a good sense of humor, jokes don’t carry well in text messages. Business text messaging also present other hurdles. Because of the small window of space, messages can sound curt and abrasive. The best strategy is to keep offers simple and attractive. Also avoid using capital letters. As you are probably aware, capital letters in written communication is the equivalent of SHOUTING and is off-putting in marketing text messages. After all, you don’t shout at customers when they walk into your store. Spelling, punctuation and grammar errors in your sms marketing message looks unprofessional and can damage your credibility – so always double check your message before hitting the send button. Especially if you are using auto-correct. As you know, auto-correct has a habit of correcting words wrongly. The US Federal Communications Commission (FCC), stipulate that businesses sending bulk sms messages to consumers must have consent from recipients. If you do not have the necessary permission, you can be penalized with a fine and removed from sms services. The permission rule is fairly harsh and requires businesses to do more than assuming a customer agrees to receiving sms marketing messages when they purchase something in your online store. That is merely seen as in invitation, not a confirmation. To cement sending permissions, businesses are required to send an sms or an email as a response to invites requesting confirmation the customer is happy to receive sms marketing text from you. There are many ways to say thank you and show your appreciation to customers – but texting a ‘thnx’ is not one of them. Actually, texting any form of thank you is not business like unless you apply a touch of sophistication. When you want to thank your customers, put some effort into it and send them an e-card with an image either by email, sms, post or in-store. Visually appealing content that says thank you makes your customers feel valued whereby they are more likely to return. Before you start an sms marketing campaign, learn text etiquette first and avoid making an text marketing mistake you may later regret.